Between having one of the busiest airports in the world and a rich local culture, visiting Los Angeles is on the to-do list for many travelers. 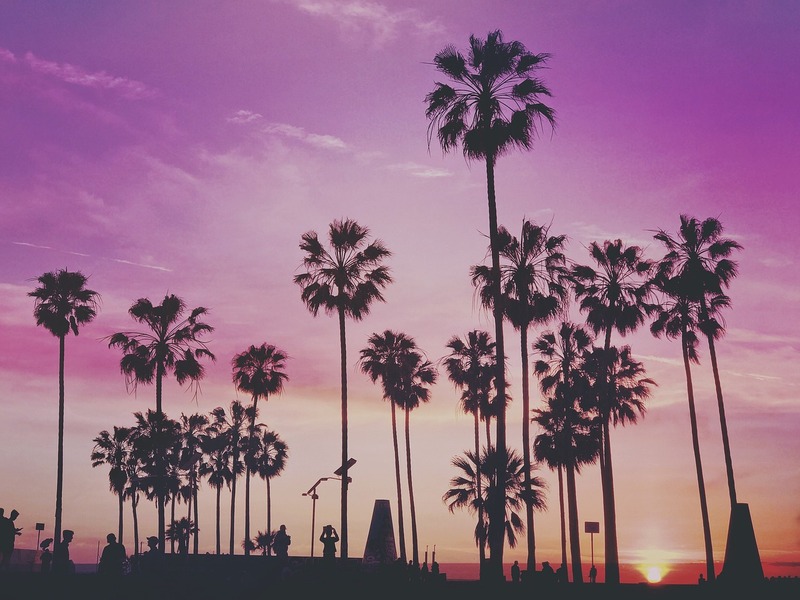 Whether you’re here for business, family vacation, or a weekend getaway, a trip to Tinseltown isn’t complete without capturing your memories at some of these most Instagrammable places in LA. Besides visiting some of Los Angeles local landmarks, don’t forget to maximize your visit by using a travel rewards credit card to save on airfare and hotel to book your next trip sooner. Celebrated Jack’s 2nd birthday in Santa Monica! This little guy is the sweetest person in the world and all I want to do is hug and kiss him. Thanks to @flytographer for the fun photo shoot. The Santa Monica Pier has been a local favorite for over a century. Besides walking the outside and underneath the pier, step inside the Looff Hippodrome built in 1916 and is the oldest building on the grounds. Catch a Pacific sunset over Manhattan Beach. You can also take a stroll on the beachside walkway the locals call “The Strand.” If you’re making a day of it, bring a volleyball or surfboard as well. Walking the pier is also a fun activity. How beautiful is the Rotunda at the @lapubliclibrary? The heart of the "old library"—which survived the fire that nearly destroyed everything else—is filled with murals that depict California history. The murals were painted by #DeanCornwell, who got his start as a successful artist who regularly contributed illustrations to publications like @cosmopolitan. He decided to challenge himself by learning the art of mural painting, and after studying with the best of the best, he won the bid to make the library mural you see here. The project took five years to complete. Located in the heart of LA, you can walk inside and Instagram the colorful murals and rotunda of the Los Angeles Central Library. It took five years to complete the mural which depicts the history of California. Steps away from the LA Central Library, Pershing Square is home to public art murals, summer concerts set in the amazing backdrop of some of the city’s oldest buildings. Come visit the Griffith Observatory in the daytime or evening hours. You will see spectacular views of the LA skyline and can even have your picture with the iconic Hollywood sign in the background. On a clear night, free public telescopes are available as well. It’s not that Venice, but you can still enjoy the Californian Venice Canals. These manmade canals were made in 1905 with adjacent walkways. Have fun exploring and bring a picnic if you like. For a trip back to yesteryear, the Beverly Hills Hotel lets you relive some of Tinseltown’s glory days. The “Pink Palace” has been home to Hollywood legends. When here, make sure you visit the historic Polo Lounge which is a premier restaurant for celebs. Runyon Canyon Park is a fun place to overlook the city and explore hiking trails. Because it’s so close to the Hollywood neighbourhoods, you might see a local celebrity during your visit too. Voted “The World’s Most Overrated Tourist Attraction” by Stasher, the Hollywood Walk of Fame is undoubtedly the only place on Earth where you can read celebrities’ names on the ground. Don’t miss the chance and snap some Insta photos in front of a needlessly expensive streets full of adults dressed as Spiderman! LA is full of public art exhibits. One you can enjoy during the day or at night is Urban Light at Los Angeles County Museum of Art (LACMA). It consists of 202 restored street lamps originally used throughout Southern California in the 1920s and 1930s. If you like modern art, the Museum of Contemporary Art (MOCA) has Pop Art and abstract expressionism displays you may enjoy. As the oldest commercial building standing in Los Angeles, the Bradbury Building consists of iron railings, marble floors, open cage elevators, and a Victorian court. They simply don’t make a building like this anymore and it’s a treat to see this local treasure built in 1893. Since 1901, the Angels Flight Railway is the world’s shortest railway at 298 feet. For a $2 roundtrip, you can ride the car in downtown Los Angeles. You can also take the stairs if you wish. Rated as one of the most beautiful bookstores in the world, The Last Bookstore has several displays you will want to capture. While you are there, browse the aisles. Maybe you will find a good read for the trip home. The Getty is a free art museum featuring American and European art. It’s located on a hilltop overlooking Los Angeles. On a pretty day, you can enjoy walking the outdoor gardens and enjoying the museum’s architecture that consists of 1.2 million square feet of travertine stone sourced 15 miles outside Rome, Italy. It’s not every day you see a glass-walled house. From the Stahl House, you can catch panoramic views of Los Angeles. You can miss the iconic Pink Wall which is on the outside of the Paul Smith clothing store alongside Melrose Avenue. This is a popular place for taking selfies and other animated poses. Find the colourful Mondrian Wall at the Artist & Craftsman Supply. As you might guess, it’s one of the most Instagrammable murals in LA. Another popular mural is “Made in LA” at Cisco Home Melrose. Even if this is your first time visiting LA, this is a fun spot for locals and tourists. For something different, the Sunset Pacific Hotel is an abandoned hotel located at the corner of Sunset Boulevard and Bates Avenue. Locals refer to it as “The Bates Motel” although it’s not connected to Alfred Hitchcock’s 1960 thriller Psycho. Artist Vincent Lamouroux painted the entire property one solid . Happy exploring. The Grove is an upscale shopping district in the heart of LA. Besides browsing the shop windows, you can have your picture in front of the fountain with an hourly water spectacular. You can ride a double-decker rail trolley that has the undercarriage of a 1950s Boston streetcar. Or, wander down the different shopping avenues that can remind you of a European city. The Broad Museum in LA is quite simply, the Instagrammer’s heaven. Named after noted philanthropist Eli Broad, this contemporary art museum houses some stunning collections (such as the works of Yayoi Kusama) and is free to visit. Skyspace is an open-air observation deck that provides 360º views of downtown Los Angeles (and some amazing Insta opportunities as well). One of the glass viewing walls is decorated with angel wings for the obligatory selfie, while there is also a bar if you want to admire the view for longer. Make sure you are in the mood for walking before setting off to explore this massive garden! Visit in the Spring to see all the flowers and trees in full bloom. Every Sunday, this outdoor market is filled with local vendors selling organic produce and vegetables. You will also find a wide variety of street food and live music. A great place for some amazing Insta snaps and a day out in the sun! The Micheltorena Stairs is the most instagrammable stairway in LA, and quite possibly, the world. In a city such as LA, where thousands of hidden public stairways can be found, this is quite a feat! You’re not going to walk the streets of Tinseltown or visit the nearby beaches with luggage in hand. 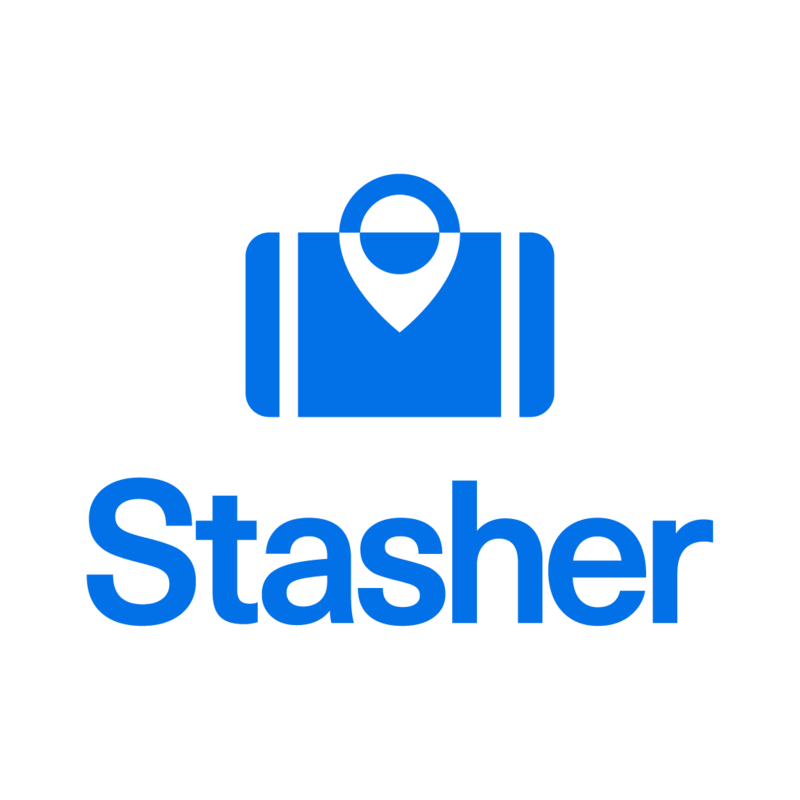 There is affordable luggage storage in Los Angeles with Stasher near major attractions and shopping districts so you can tour the town hands-free. Hungry for more? Here at Stasher, we love Instagram! Check out our guides for some other cities in the world.